Coming to Australia April 11. Australia will be one of the first countries in the world to release the Samsung Galaxy S5 on the 11th of April. The 5.1-inch smartphone will be offered on a range of plans from Telstra, Optus, Vodafone and Virgin. Good Gear Guide has put together a buying guide to make picking the right plan a little more simple. Value proposition: $82 per month over 24 months. The Galaxy S5 will be offered on Telstra’s $70 M plan with a charge of $12 per month for the Galaxy S5. Telstra is the only carrier offering Samsung’s Galaxy S5 for the same price as the HTC One (M8). The carrier clearly believes the two smartphones are of the same value. Telstra will also sell the Samsung Galaxy S5 outright for $912. 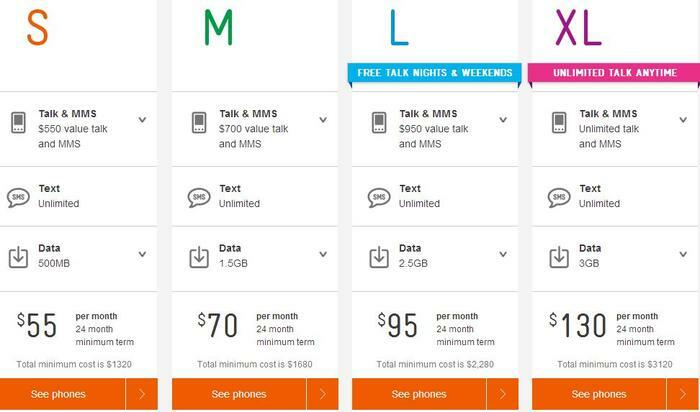 A premium phone deserves a premium network, and Telstra’s pricing might be enough to sway non-intensive phone users to join the Next G network. Call rates are calculated at 99 cents per minute and there is a one-off connection fee of 40 cents. Data used in excess of the 1.5GB allowance is charged at 3 cents per megabyte. Bill shock is hedged further with a $130 cap on excess voice and MMS usage. Telstra is currently accepting pre-orders for the Galaxy S5. Click here to pre-order a Galaxy S5 with Telstra. Vodafone is offering the Galaxy S5 at $14 per month on its $65 Red plan. The $65 Red plan proves to be great value for heavy mobile users as it includes unlimited national phone calls to mobiles and landlines, and unlimited national texting. A great big data allowance is needed if you hope to get the most out of the Galaxy S5. 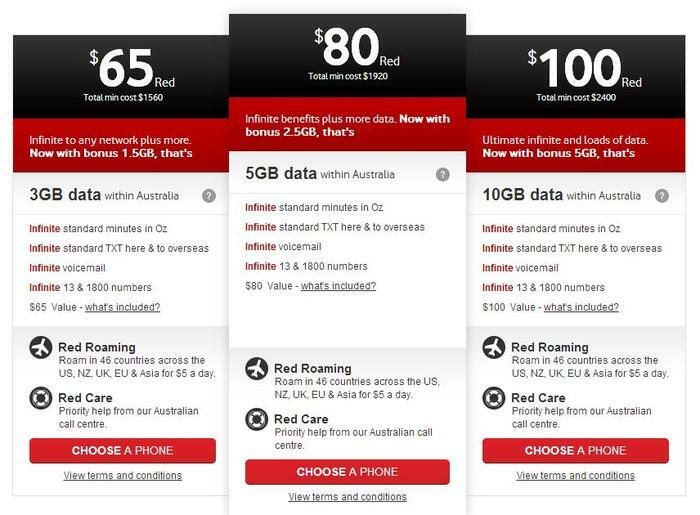 Vodafone’s current promotion offers double the data under its $65 Red plan. This means if you order the smartphone before the 1st of July, you’ll be able to use 3GB worth of internet per month. Vodafone’s Red plans offer incredible call and data value provided you stick to the inclusions. Services such as premium numbers are not covered under the plan, and you only get the minimum spend of your plan to use on international calls. For example, the $65 Red plan comes with $65 worth of international calls. Before signing a 24 month contract, be sure to check if the plan suits your usage patterns with a store representative. Pre-order the Samsung Galaxy S5 from Vodafone here. Value proposition: $61 per month over 24 months. Optus is offering the Samsung Galaxy S5 on one of the cheapest available plans. The smartphone is available on the $35 my plan with an instalment of $26 per month over two years. People want a more reliable network, but not everyone is prepared to pay Telstra’s premium. Optus occupies this position, and the carrier occupies it well. The $35 My Plan might be weak on value, but at the end of the day it makes a premium smartphone available for less. People who text often will also find the plans of value as it offers unlimited SMS and MMS messaging. Going over your call limit might be easier with Optus’ cheap $35 My Plan, but the carrier has put in place some safeguards. The company simply pops you onto a higher ‘level’ of call or data, which varies between $5-$10 in cost. 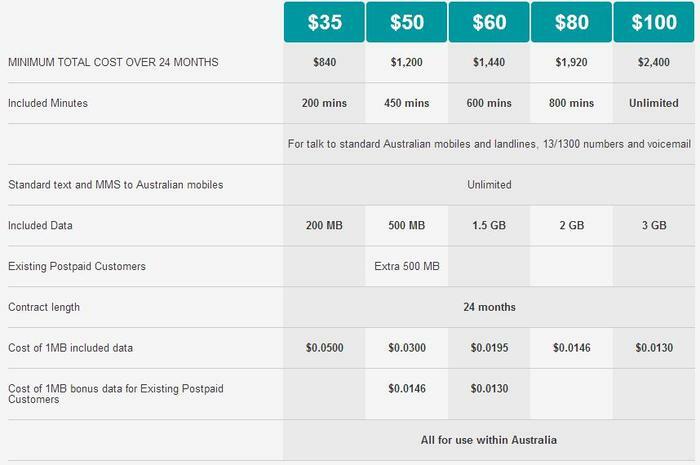 Optus’ plans also exclude a variety of services. Reading up on the plans’ inclusions is worthwhile if you’re considering the $35 My Plan. Pre order the Galaxy S5 from Optus by clicking here. Note: Virgin Mobile did not provide its pricing for the Galaxy S5. The article will be updated with the carrier’s response.